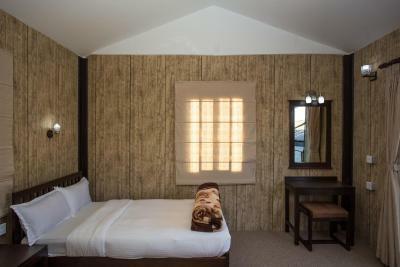 Lock in a great price for Raniban Retreat – rated 8.3 by recent guests! The views. Oh the views! 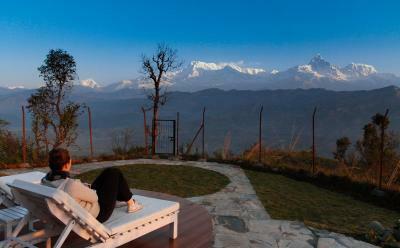 An incredible retreat high above Pokhara City. 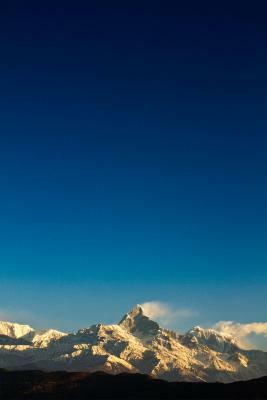 The mountains were so close it felt like I could reach out and touch them. The staff was second to none. We got caught in a rainstorm, making the drive up impossible and they sent a staff person with umbrellas to the nearest point. Lovely and attentive. I like this place a lot. 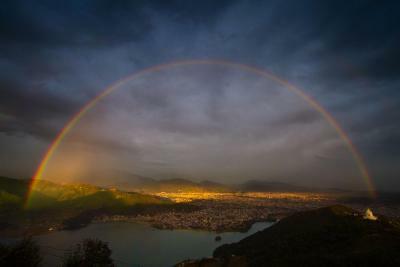 I had some doubts about the location, but if the skies are clear there's no better place to see the mountains. 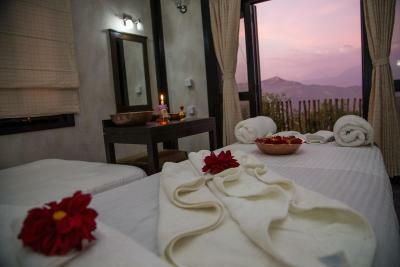 The staff was wonderful, especially Niraj. 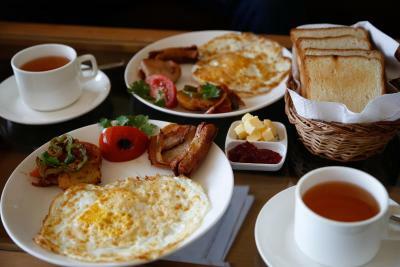 The breakfasts are big and delicious. I'll definitely stay here again. 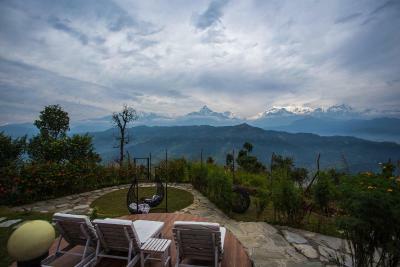 It's well worth staying at Raniban for at least one of the nights of your visit to Pokhara. The view is absolutely unbelievable. 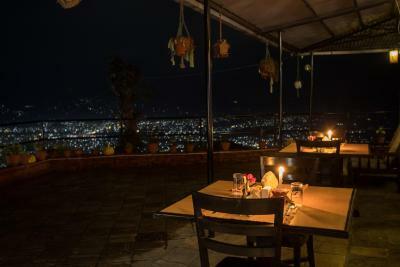 You think you can see the mountains from down in the city but they're 10 times more spectacular from the roof-top dining of the Raniban. 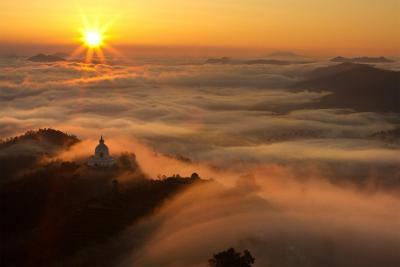 Do yourself a favor and spend a day lounging and enjoy a short hike to the world peace pagoda. We absolutely loved our time at Raniban. The staff were very friendly and in particular Roy was exceedingly helpful and welcoming. Nothing was too much trouble for him and he was happy to join us for chats when the opportunity arose. 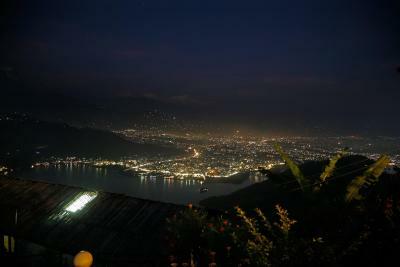 Although the daily drive up and down the mountain was difficult, the spectacular snow capped mountain and city views made it worthwhile. We were sad to leave Raniban Retreat. The location was everything i wished for and more! 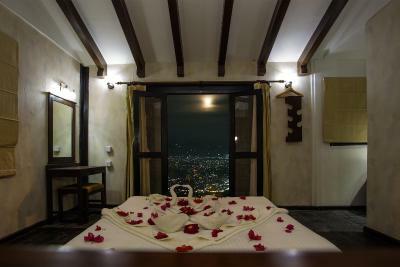 Awesome views, great service and beautiful surroundings! 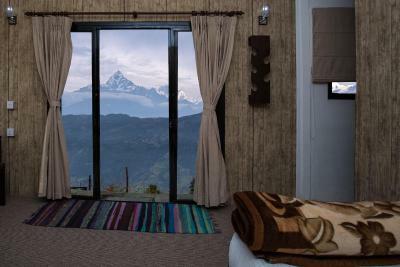 Would visit Pokhara again just to stay here! 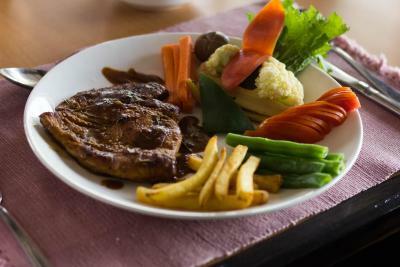 The staffs are very helpful and warm, always being nice and smiling. They helped my friends prepare a surprised birthday cake for me! 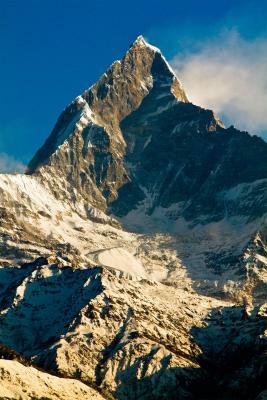 The view from the hotel is just amazing, although it took us quite an effort to get to the hotel. The view is so worth it. Do try this hotel! 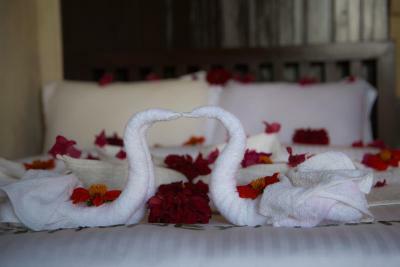 The staff were very friendly, they upgraded our room and were very helpful and attentive. Our room was lovely with a private garden, and the views would be amazing but it was cloudy when we stayed. 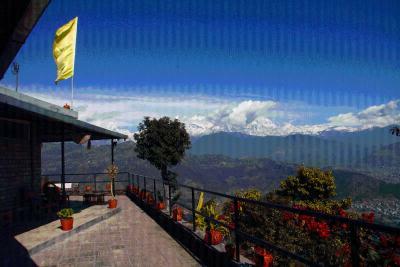 We still enjoyed wonderful food and relaxed at raniban. Eine sehr schöne Anlage in fantastischer Lage. 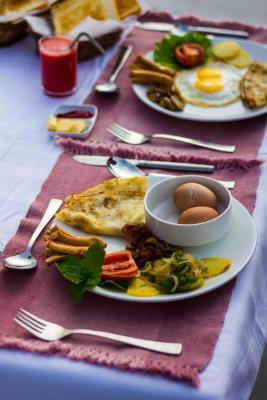 Das Abendessen im Restaurant war gut, das üppige Frühstück auf der Dachterrasse noch besser! Das Personal ist extrem freundlich und liest einem jeden Wunsch von den Augen ab. 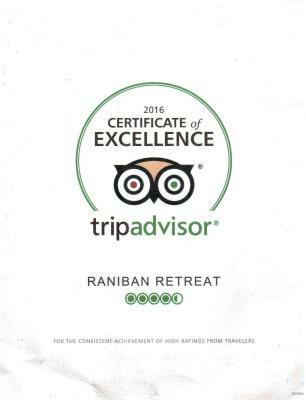 Raniban Retreat This rating is a reflection of how the property compares to the industry standard when it comes to price, facilities and services available. It's based on a self-evaluation by the property. Use this rating to help choose your stay! 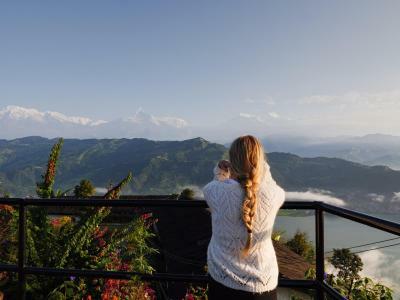 One of our top picks in Pokhara.On the same hilltop as the World Peace Pagoda, Raniban Retreat is located in tranquil surroundings and has spectacular views over Lake Fewa and across Pokhara Valley to the snowy mountains of Annapurna and Fishtail. 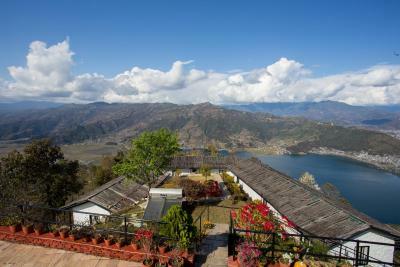 Raniban Retreat is located 1,378 feet above Fewa Lake and Pokhara Lakeside. 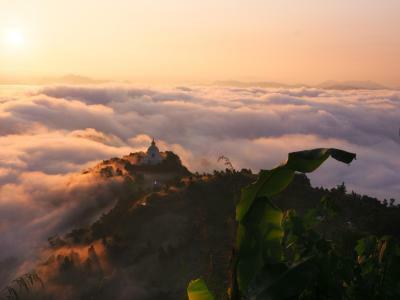 It is accessible via a road leading to the World Peace Pagoda or an hour's trek through the Queens Forest, also known as Raniban. 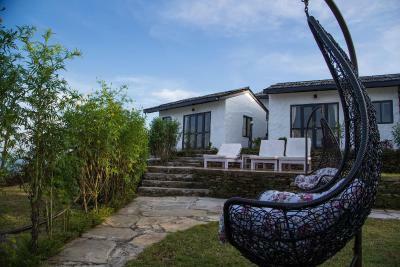 Guests are greeted with a welcome drink and fresh towel on the terrace upon arrival. 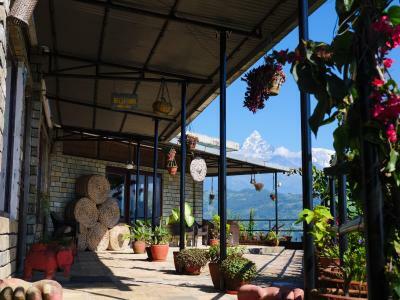 Raniban Retreat features a bar offering panoramic views and restaurant serving home grown herbs and vegetables, Nepali, Asian and European cuisines, accompanied by views of the surrounding forest, lake and mountains. 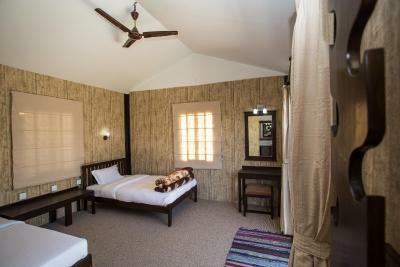 The recently remodeled lodges are fitted with a fan and desk. 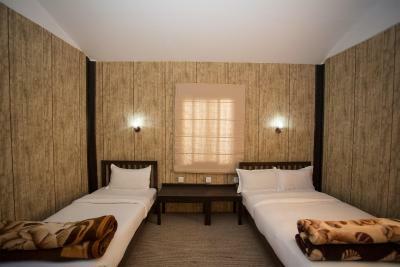 Attached bathrooms come with shower facilities and free toiletries. The hotel's front desk that can assist with laundry, car rental and ticketing services. Airport shuttle can also be arranged on request. Free Wi-Fi is available in public areas. 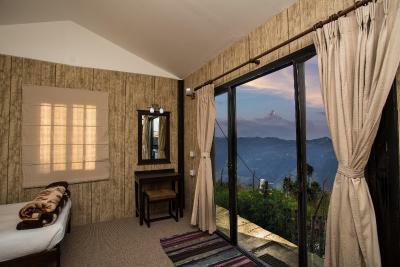 When would you like to stay at Raniban Retreat? 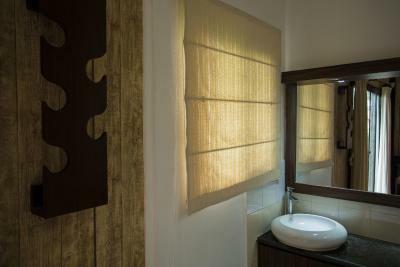 The atached bathrooms come with 24-hour electricity, hot shower facilities and free toiletries. 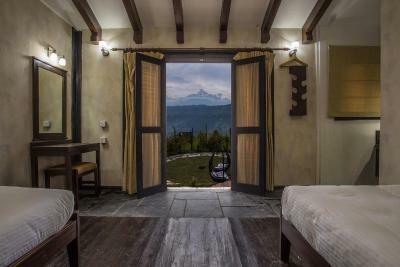 Built from stone, but finished in wood and bamboo, each Bamboo Lodge has a private balcony looking out over Fewa Lake towards Dhaulagiri and Annapurna. 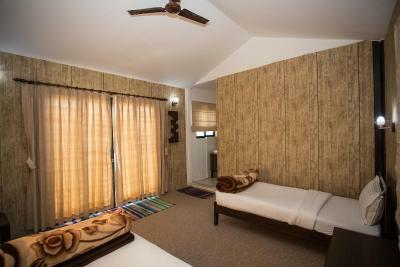 Each room is fitted with a desk and has attached bathroom with warm showers and free toiletries. 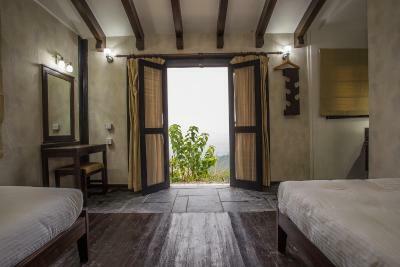 Attached with a terrace and offering a private garden, the fan-cooled rooms feature wooden/parquet flooring and attached bathrooms with shower. 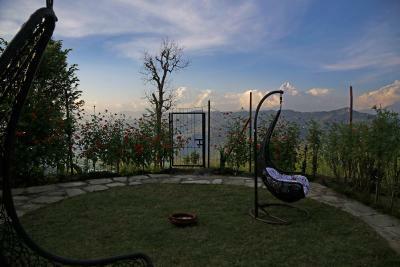 Guests can enjoy mountain view and garden view. 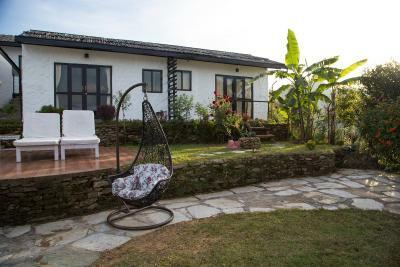 House Rules Raniban Retreat takes special requests – add in the next step! 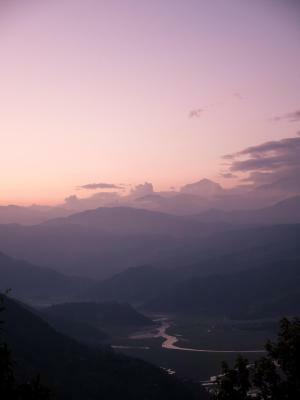 Raniban Retreat accepts these cards and reserves the right to temporarily hold an amount prior to arrival. 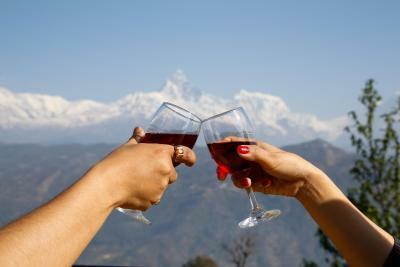 Guests are to contact the hotel directly to arrange for transfers from Pokhara Airport, bus park and Lakeside. Charges apply. Hotel's contact details can be found on your email booking confirmation. 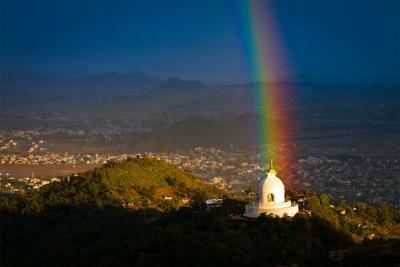 Please inform Raniban Retreat of your expected arrival time in advance. You can use the Special Requests box when booking, or contact the property directly using the contact details in your confirmation. I underestimated the weather and was pretty cold the night we stayed there. It was fine, and ultimately didn't detract from our experience. This hotel provided an experience. If luxe is your thing, this probably won't suite your needs. Food options were limited - but whatever was served was great. Room heaters could be an add on. -no AC in the room, you can get a thick blanket but still it was chilly especially in the morning. 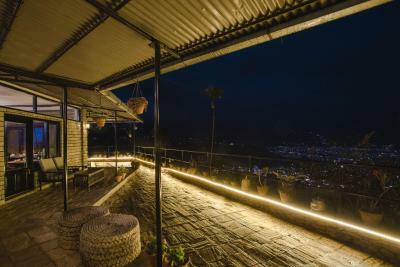 -the rooftop of restaurant was very well designed as "special viewpoint" of mountains. you can have breakfast / dinner / tea in there. 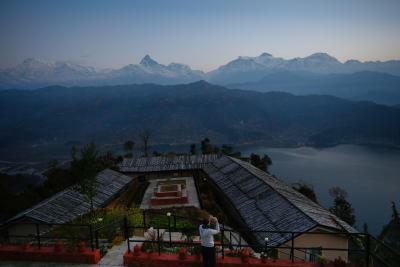 the view was perfectly clear, you can see the mountains & Pokhara city very clearly (you cannot see some part of lake because of the lodge itself). 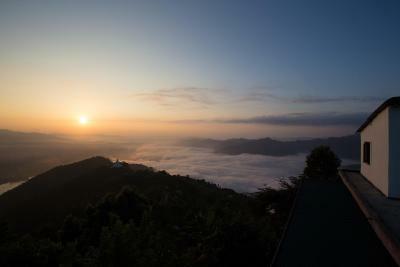 in the morning you can see perfect mountains and sunrise (my visit was middle of Dec 2018). 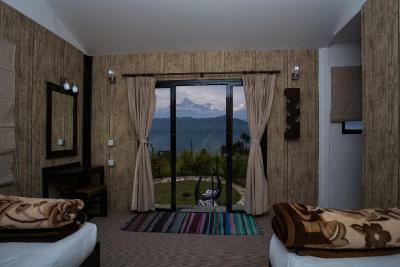 -if you see Himarayan mountains from this hotel, Sarangkot hill is always in front of Himarayan mountains, so you may not like that. 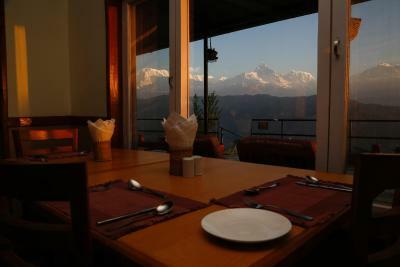 but as you will know when to go to Sarangkot, Sarangkot is always full of people (easily over 60-70 people) and this rooftop restaurant is only for people who stay here. 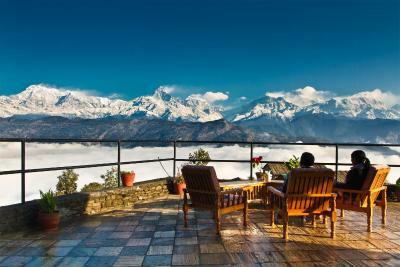 you can enjoy the view as long as you want without any disturb. 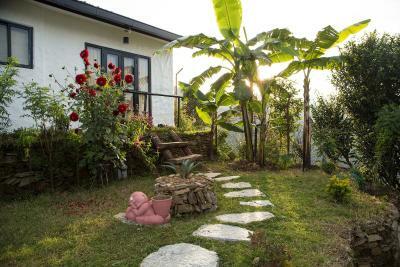 in addition, toilet is always next to you (in Sarangkot you have to go down 10min and ask tea shops for toilet, though it was also a good experience). -the facility was a sort of "lodge", not an "institutional hotel" so you cannot expect too much. 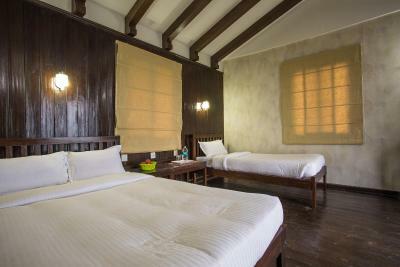 but at least, you can get clean facilities, good electricity supply, Wifi, enough hot shower, normal western style flush toitel, good food in the restaurant. 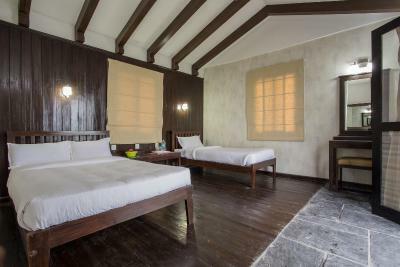 the only problem was that the room did not have AC so during the night and early morning it was chilly. 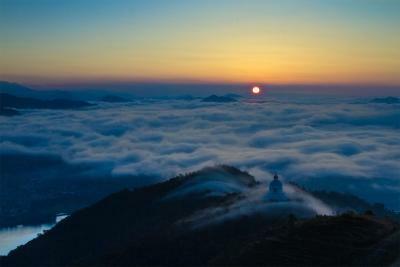 but don't be worry, once Sun rises, you can stay with T shirt. The accommodation is servely infestested with mould as the exterior buildings are riddled with cracks and the roof is falling apart. I left after the first night and didn’t bother complaining to staff. I unpacked at the next destination and found that dreadful mould smell taken hold of everything, so I disposed of my clothes. I reached out to the manager after that and he promised a refund but I never received it. Lack of services that are promised in the description. I would have liked tea and and coffee making facilities in the room given the price we were paying. We paid about £90 for one night which is extremely high given the time of year.